Why does Nick Xenophon hate wind so much? 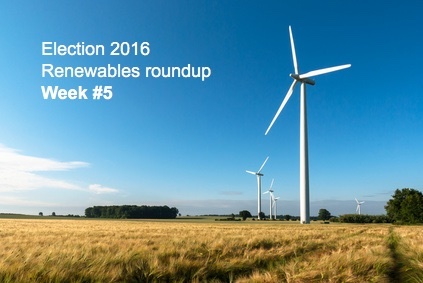 A bit of housekeeping before we launch into the Election 2016 renewables roundup for week #5. Last week we touched on the growing interest in the independents and — in particular — the rise and rise of the Nick Xenophon Party, especially in the senator’s home state of South Australia. We established that The Good Senator’s relatively progressive views on climate change, clean energy and support for renewable energy institutions may be crucial should his party gain a foothold — or even the balance of power — in a tight election. However we were (quite correctly) taken to task on this point by reader Stephen Fuller who pointed out Nick’s somewhat Hockey-esque views on wind farms. It seems Nick, while on board with the popular solar thermal projects in the Festival State, has an aversion to wind farms that make Alan Jones look pedestrian. Thanks Stephen for clearing that up. Now to the week that was in renewables and the election. Costa Avgoustinos writes in New Matilda that Election 2016 is all about climate change, despite the efforts of the leaders of both major parties to dance around the subject. Costa talks about the continuing power of the coal lobby and the absolute necessity to break this for the good of the country before it’s too late. However Australia is on target to meet internationally agreed climate goals. According to Environment Minister Greg Hunt anyway. John Hewson, former leader and now chairman of solar energy company Solastor, surfaced this week, promising baseload solar thermal and battery storage power plant in Port Augusta, SA. Hewey’s confident of delivering the lowest priced 24/7 solar power in the world, according to this report. 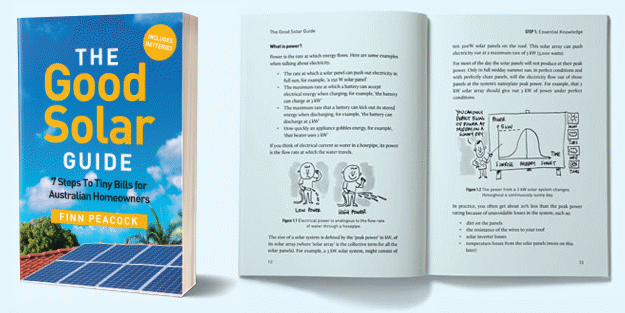 Not to be left out, the Labor Party has shown signs of imagination in solar energy policy, bringing the solar revolution to renters, public housing and aged care homes. Meanwhile great news for the Australian solar sector as demand for rooftop solar soars. Will the pollies listen though? Finally, for those having difficulty grasping the sheer banality of the campaign trail, perhaps it’s time to implement James Schloeffel’s* techniques for coping? *James is the editor of The Shovel.